Trawling began in the 1840’s by sailing boats, steam trawlers started around 1880. Strong objections were raised to trawling, an allegedly destructive mode of fishing even in those days. The Commissioners on the Sea Fisheries of the United Kingdom were called upon to investigate with a view to having trawling banned. The final report not only set aside all objections but recognised trawling to be of great value and an effective way of enriching the diet of the people. It was around 1885 that the first steam trawler arrived in Granton. The harbour with its depth of water allowing access at all states of tide. The trawlers would benefit from the large consuming area surrounding Edinburgh and the readily available supply of coal from the Lothian coalfields. These early trawlers were quite small as fishing was carried out at no great distance from the land. It was possible for these vessels to land two or three times a week. The growth of the trawling industry at Granton was rapid. Larger and larger vessels were added to the fleet. These larger vessels had greater coal bunkering and fish room capacity, enabling the vessels to fish more distant fishing grounds. Larger landings of fish demanded new markets to be found and special fish trains would leave Granton daily for Glasgow. At the outbreak of the First World War in 1914, the newer vessels in the trawling fleet were requisitioned by the Admiralty as was the greater part of the Middle pier and eventually all but one third of the west pier. The trawlers were stripped of their fishing gear and converted to minesweepers and patrol boats. In the course of this war 46 trawlers from Granton were requisitioned and 6 sunk by enemy action. Throughout the war the remaining vessels fished the North Sea grounds and the damage to vessels and casualties were considerable. 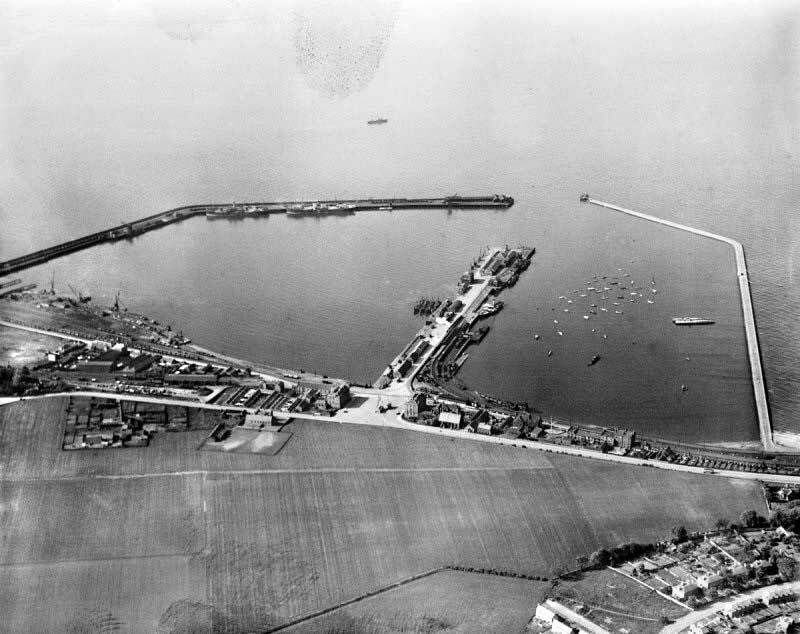 In 1939 and with the declaration of war Granton harbour came under the jurisdiction of the Admiralty again, and it was to be some six and a half years later in March 1946 before it was returned to its owners. Again a considerable amount of the trawling fleet was requisitioned. The North Sea was to be closed to fishing for the duration of the war. The remainder of the Granton fleet were transferred to the West Coast of Scotland. Thirteen trawlers were lost to the war while engaged in fishing. After the war catches became unusually heavy as the North Sea had been closed for six years. This regular and plentiful supply of fish, once again became a valuable contribution to the nations larder by supplying good protein food. In 1950’s approx 17,000 tons of white fish was landed annually at Granton. In order to maintain the quality and quantity of fish the vessels travelled to even more distant grounds. The first of these was the "Kelso Paton" GW 2 for the Ardrossan Trawling Co Ltd in March 1956. The average trip now took 12 to 14 days. The fish was boxed and iced at sea. 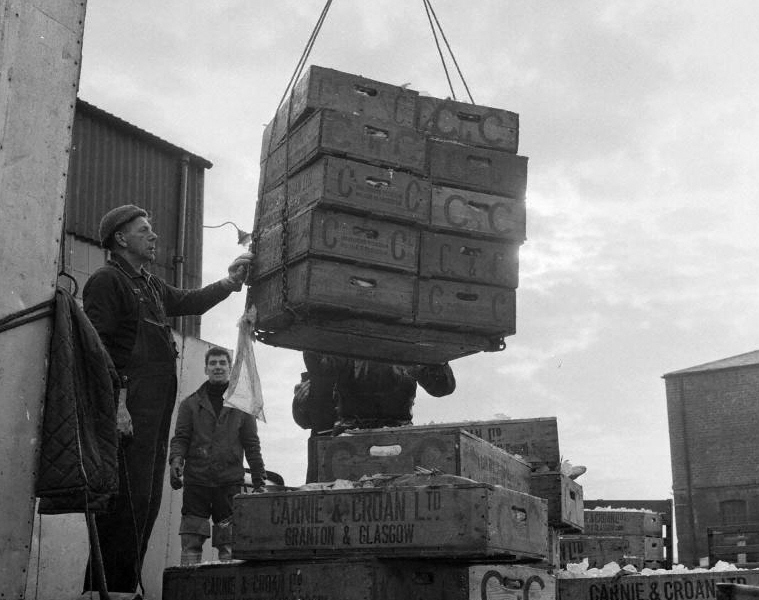 On arrival at Granton (Landing Day) the boxes were discharged by crane onto the backs of waiting Lorries and refrigerated containers, to be despatched to markets in Hull, Grimsby and Glasgow. The crew would be paid the next day (Settling Day) and depending on the length of the trip had one or two other days (Clear Days) off before Sailing Day arrived again. If a trip was of less than ten days this would be classed as a Half Landing and only one Clear Day would be allowed before Sailing Day, settlement would not take place until after the second trip. The Granton trawler fleet fished from the Dogger Bank in the North Sea to North of the Shetland Islands, From the Faeroe Islands down to Rockall and the West Coast of Ireland. When fishing the West Coast landings would take place in Oban, Ardrossan and Ayr.